You won't be able to stop talking about the day you "put yourself in the drivers seat of one of our 400kw Holden V8 race cars"
with additional between drive session de-briefing and personalised tuition. and costed to suit the specific individual requirements of the group or organisation. 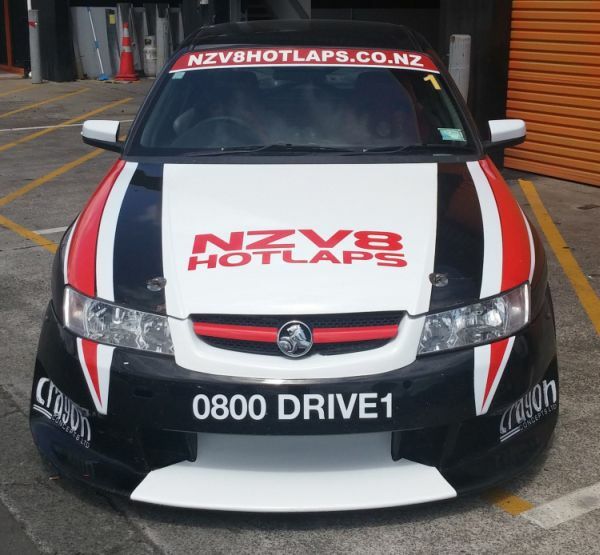 Limited NZV8 Race Drive Experience and/or followed by our NZV8 Hot Laps. 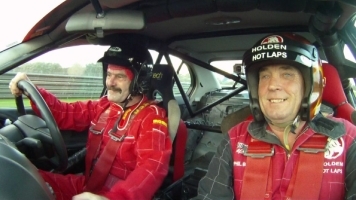 race driver tuition from our expert V8 Race Experience instructor, Phil Blythe. "Everyone spends money trying to make the car go faster... what about the driver going faster..?" "Thanks for the best day I have ever had on Manfeild." "The difference from the 1st lap to the last was remarkable, and not just in improved lap time." "Before it was hard work to get my 911 around Manfeild. I now feel confident and enjoy my car on the track." "I was doing so many things wrong it would have taken me months or years to pickup what I did in just one day." "I would recommend 4DRIVE to anyone...!!!" at the time of making the booking and prior to the commencement of the NZV8 Race Experience. Please ring us direct on (0800) DRIVE1 (374831) to pre-arrange. Individual participant substitutions can be made at any time prior to the programmed commencement of the pre-drive briefing of the NZV8 Race Drive Experience session. Once a voucher is issued, all of the terms of issue must be fully complied with, in order to validate the voucher. Any voucher must be pre-booked onto an available pre-programmed NZV8 Race Experience event date and must be fully physically completed prior to the expiration date of the voucher. No extensions or excuses will be entertained. Please Note: Any failure and/or inability (for what ever reason) of you to personally physically attend at the pre-booked and specifically allocated date and pre-drive arrival time, will unfortunately result in the immediate forfeiture and invalidation of your NZV8 Race Experience drive, due to your non-attendance or late arrival. It is therefore recommended and suggested that any intending participants who may have any applicable pre-existing medical conditions, such as severe heart conditions, severe back/head/neck conditions, are in the advanced stages of pregnancy and/or any other similar applicable conditions, should consider their own personal circumstances prior to undertaking this activity. To date, our youngest drive participant has been 16yrs old and our oldest drive participant has been 79yrs old. Any participants under the age of 18yrs will require the written approval of a parent or guardian. Please Note: As with all things mechanical, on some vary rare occasions there may be operational delays experienced which may occur from time to time. The total safety of our clients, staff and vehicles is absolutely paramount and in the event of any mechanical or operational issues what so ever that may require attention, it will be immediately positively attended to. We will at all times try our best to operate and conduct our NZV8 Race Experience drive activities to the indicative times provided, however... there may be occasions where delays are experienced due to circumstances beyond our physical control. We apologise in advance for any delay or inconvenience which may subsequently result. 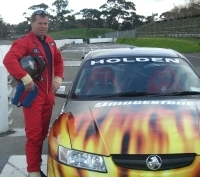 During the Race Experience session, you will be driving and in full control of one of our very expensive 400kw V8 Holden VZ Commodore race cars with one of our specialist NZV8 Race Experiences instructors in car with you. If at any time the instructor deems that you don't have the required ability to safely and efficiently operate the race vehicle... then your race drive session will be terminated (forthwith) and no subsequent refund will be afforded. All participants must possess and demonstrate an ability to understand and freely communicate in English. 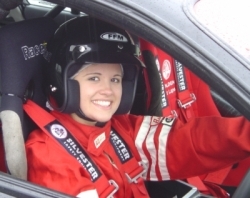 As this is a high-speed extreme driving activity, it is recommended that participants with any applicable pre-existing medical conditions (such as severe heart conditions, head / neck / back conditions and/or in the advanced stages of pregnancy) should fully consider the specific implications of their personal participation, prior to undertaking this activity. The personal safety of our participants and staff is paramount and accordingly, if at any time the instructor deems that you are not following safety instructions and/or driving beyond your actual physical abilities and/or putting the race vehicle, occupants or other persons in imminent risk of damage or injury... then your race drive session will be terminated (forthwith) and no subsequent refund will be afforded. If at any time you fail to comply with the safety directions and operational instructions given to you... then your race drive session will be terminated (forthwith) and no subsequent refund will be afforded. If at any time you damage the race vehicle... then your race drive session will be terminated (forthwith) and no subsequent refund will be afforded. To participate in this activity, you are required to sign our standard participant indemnity form, in which you legally indemnify Advanced Driving Systems Limited, the venue owners and operators, all staff, employees, drivers and representatives from and against any and all material losses, vehicular damage, legal actions, claims, expenses and demands. You are legally liable for the full repair and reinstatement costs associated with any and all physical damage that you may incur to the vehicle that you are driving, any other vehicles and/or the venue you are driving upon. We allocate our participants into exclusive confirmed booking times and we do our best to endeavour to keep to those indicated times... however, in the event of unavoidable mechanical issues, weather issues or other operational issues, your actual activity time may necessitate being delayed. We apologise in advance for any inconvenience that this delay may subsequently cause. In the event of any mechanical issues, weather issues or other operational issues, your booked activity attendance may need to be postponed and subsequently rescheduled to an alternate date/time. If at any time thru substantially inclement weather or deteriorating track/vehicle conditions, the instructor deems that it may be unsafe or imprudent to continue with or commence your drive activity at that time... then your race drive session will be terminated (forthwith) and it may subsequently necessitate being postponed or rescheduled to a later date/time. In all respects, the expert decision of our NZV8 Race Experience instructors will be final, absolute and binding. dates is at the sole discretion of the Race Director of NZV8 Race Experience. His fully considered opinion will be final and binding. Recipients must at all times fully abide and comply with all of our standard operating terms and conditions. Any and all pre-paid NZV8 Race Experience Gift Vouchers are entirely non-refundable. Any pre-paid NZV8 Race Experience Gift Vouchers may however be able to be "transferred" and may be physically utilised and undertaken by anyone other than the named original participant... provided that the voucher is still valid, hasn't expired and all applicable operational terms, conditions and requirements are fully complied with. Any and all pre-paid NZV8 Hot Lap Gift Vouchers are able to be "upgraded" and utilised towards the participant undertaking either of our NZV8 Race Drive Experience options, with the additional payment of the applicable extra cost at the time of confirming the booking date/time directly with us. Any and all pre-paid NZV8 Race Experience Gift Vouchers are able to be "upgraded" and utilised towards the participant undertaking either of our longer 8-Lap (DRIVE2 Option) OR 12-Lap (DRIVE3 Option) NZV8 Race Drive Experience, with the additional payment of the applicable extra cost at the time of confirming the booking date/time directly with us. Any Gift Vouchers that are purchased directly through any other "resellers" of our NZV8 Race Experience products are issued directly by the resellers and any payments that you have previously made, have been physically made directly to the individual resellers... Not to NZV8 Race Experience. Any vouchers that have not been redeemed, undertaken and fully completed by their physical expiration date are unfortunately invalidated and are entirely non-usable and non-refundable. In respect of any pre-paid vouchers that you may have chosen to purchase thru any entirely separate "resellers" of our products, please be aware that any and all payments that you may have already made, have actually been made to the voucher "resellers" and not directly to NZV8 Race Experience. - You would then also need to subsequently deal directly with the "reseller" voucher issuer directly in respect getting refunded back any money that you may have already paid directly to the "reseller". - You could however rearrange and reconfirm your activity booking by rebooking and paying NZV8 Race Experience for it directly. - Then any subsequent non-payment to NZV8 Race Experience for the driving services that you had already physically received directly from us will leave you personally liable to NZV8 Race Experience for the outstanding and unpaid fees for the service that you have already physically received. - You would then also need to subsequently deal directly with the "reseller" voucher issuer directly in respect of getting refunded back any money that you may have already paid directly to the "reseller". - In January 2010, Total Experience went into a voluntary liquidation and virtually all the money "disappeared" which left thousands of their Total Experience voucher holders without their money and also without the ability to redeem their then totally worthless vouchers. - Choosing to make and pay for your bookings directly with the actual "service provider" eliminates the middle man and subsequently minimises the likelihood of this type of thing detrimentally affecting you.